For those with discerning tastes, we've listed several great specialty stores in PA. Search for the finest specialty shops in Pennsylvania. Celtic Gifts, Recipes, and Food! 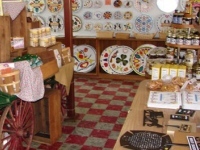 This specialty shops in PA has all things Celtic! From claddagh pendants to Celtic warrior bracelets, books of Scottish and Welsh recipes to Scottish tea,Oxford Hall is a perfect place to get a gift for that Irish friend who misses home, or that coworker who is a Celtic enthusiast. A wide range of imported Welsh, Irish and Scottish goods gives this shop a variety unrivaled by other area stores. Order online or stop by the store to browse. 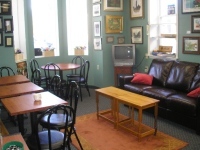 If you stop in, be sure to visit The Tea Corner for a relaxing cuppa with a biscuit or scone! Oxord Hall also offers kilt rentals for Celtic weddings and other special occasions. Offering over 700 hand made tin cookie cutter designs, H.O. Foose Tinsmithing Co. is truly one of the most unique specialty shops in Pennsylvania! Perfect for the baking enthusiast, this shop has cutters for all occasions. Making cookies for a bridal shower? Baby shower? Holidays such as Christmas, St. Patrick's Day or Valentine's Day? This store has cookie cutters for you. Browse their line of miniature cookie cutters - most of which are less than 1.5 inches tall! H.O. Foose also offers other baking supplies for parties and events - baking sheets, colored sugar and decorating gel, shaped cake pans, and more! Order online or stop by the store to browse the huge array of products available. Bring Good Fortune from this Haus to Your Home! Located in eastern PA, the Pennsylvania Dutch Haus specializes in Dutch "hex" signs which have been used for hundreds of years as decorations on barns and other buildings. They are believed to bring various forms of good luck to the owner of the building. Pennsylvania Dutch Gift Haus offers hex signs in a variety of sizes; hand painted designs are also available! 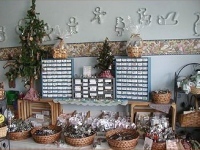 Stop by this shop for local candy and food as well as Dutch toys and gifts. This family owned business has served the area for over 50 years and great customer service is guaranteed! Selling Specialty Sweets for Over 95 Years! Satisfy your sweet tooth at this most delicious of PA specialty stores! 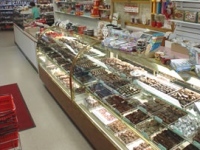 Family owned and run since 1915, Zimmerman's Nuts & Candies stocks a huge variety of candy - from chocolate covered pretzels to Necco wafers, lemon drops to licorice there is sure to be something to match your taste. Check out their wide range of sugar free candy! Known especially for their all natural home roasted, home ground peanut butter, this store uses no artificial flavorings or preservatives. Try their almond butter and cashew butter for something a little different! Zimmerman's also sells gourmet ingredients such as spices, extracts, dried fruit and baking chocolates. A haven for those who love sweet things! Hot Drink Enthusiasts Will Love This Shop! This shop stands out among coffee specialty stores in Pennsylvania due to its range of coffee flavors, syrups, teas and accessories. Located in Pittsburgh's Strip District, Fortunes Coffee Roastery is ideally located for city visitors to stop in and browse the huge selection of coffees and related products. 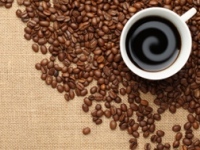 Step inside and breathe in the decadent aroma of freshly roasted coffees. Exotic Ceylon teas in flavors such as "Blackberry Blaze," "Strawberry Banana" and "Apple Spice" can be purchased here along with traditional teas such as Earl Grey and Chamomile. Sign up for the "coffee of the month" club and be delighted to recieve 2 lbs of gourmet coffee each month ground to your specifications. Fortunes is open 7 days a week - online ordering also available.